But lucky me, I found a recipe for one of their famous flavors, Sweet Corn Ice Cream. 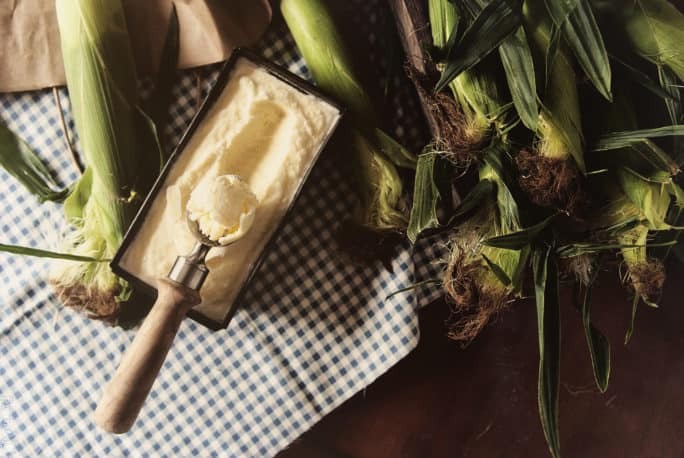 We have had a great selection of corn coming in this season from our local farmer’s market and I knew with my weekly goal being frozen treats, it was time to take on this recipe. Use a bowl with a flat bottom placed upside down in another bowl to steady earns of corn, and catch kernels, and cut the kernels off. Cut the cobs into thirds and set aside. Combine the corn kernels with 1 cup of milk in a food processor or blender and pulse until smooth. Pour into a medium saucepan and whisk in the remaining milk, sugar and salt. Add the cobs. Heat the mixture until edges just start to bubble, about 180 degrees. Remove from heat and let stand 1 hour to infuse the flavors. Whisk the egg yolks and half and half until pale and yellow in a bowl; set aside. Discard the cobs from the corn/milk mixture and bring the mixture back to 180 degrees. Carefully whisk the milk mixture into the bowl with the egg yolks. Return to saucepan, stirring constantly, and cook two minutes longer, until mixture thickens, coating the back of a spoon, 160 degrees. Strain the mixture through a sieve, into a bowl and discard any solids or lingering corn kernels. Set the bowl in an ice bath and cool. Cover and cool completely (4-6 hours) in fridge before churning in your ice cream maker according to manufactures directions. Freeze until solid and serve. I am trying to imagine the taste of this ice cream, sounds so incredible!! Wait? Corn in my ice cream? Not gonna lie that sounds totally weird, but completely delicious at the same time. I have to try this! I adore this. Sweet corn is always a winner! 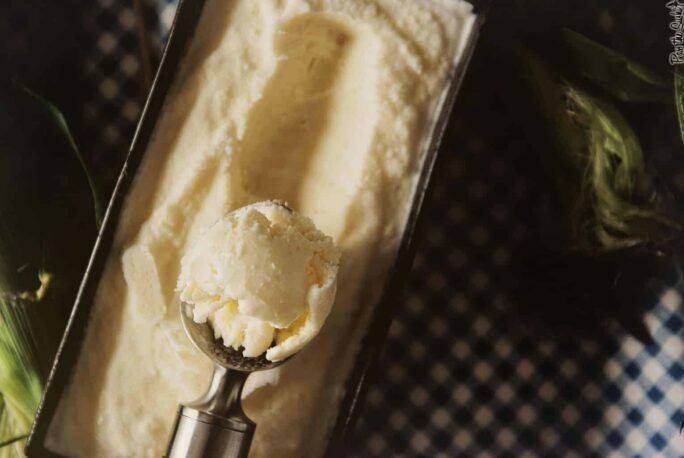 I have been wanting to make sweet corn ice cream for too long, it sounds awesome. What a great idea! 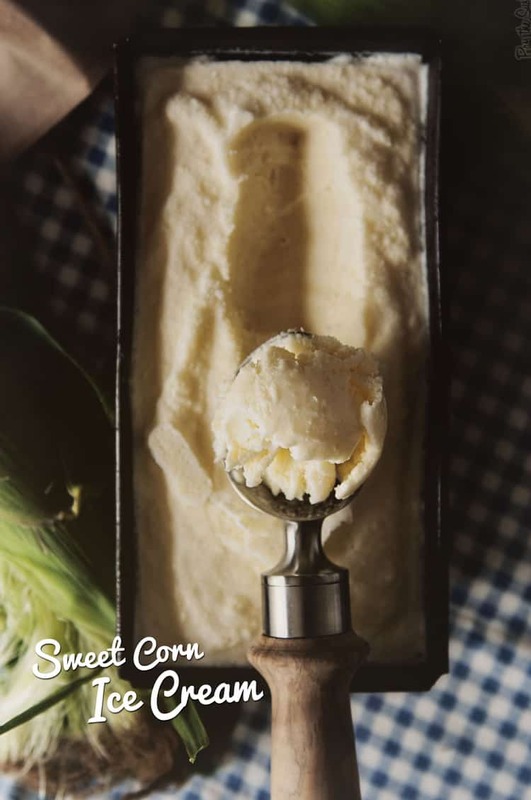 I’ve never come across sweet corn ice cream and now I can’t wait to try it! I think I might like to make this. I hope someday that I am able to even find yellow corn again. 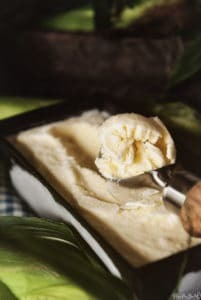 Were we live the corn in the markets is always white corn and I would want this ice cream to be yellow and filled with fun yellow bits and pieces. I think that it would be a bit alarming to have white bits in my white ice cream, don’t you? Oh. And shame on you for not going into that ice cream shop. We must always go into the ice cream shop. Always. 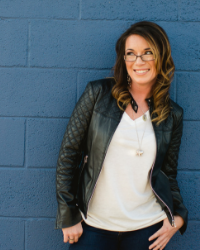 I am so intrigued by this idea!! I need to get my hands on some good local corn and this will be happening. So we just got a huge bag of corn delivered to us from one of hubby’s co-workers! I know what I’m making this weekend! Oh wow, I love this recipe 🙂 sounds so perfect!